Reporter 200 TTL is a powerful (200Ws) and compact flash equipped with high capacity battery and Navigator X system receiver for wireless triggering and control. This flash is able to deliver high quality light and can be fitted with wide range of Quadralite Reporter light modifiers such as softbox, beauty-dish or umbrella reflector. Reporter 200 TTL is 4 times more powerful than typical speedlites while keeping almost the same size and weight. 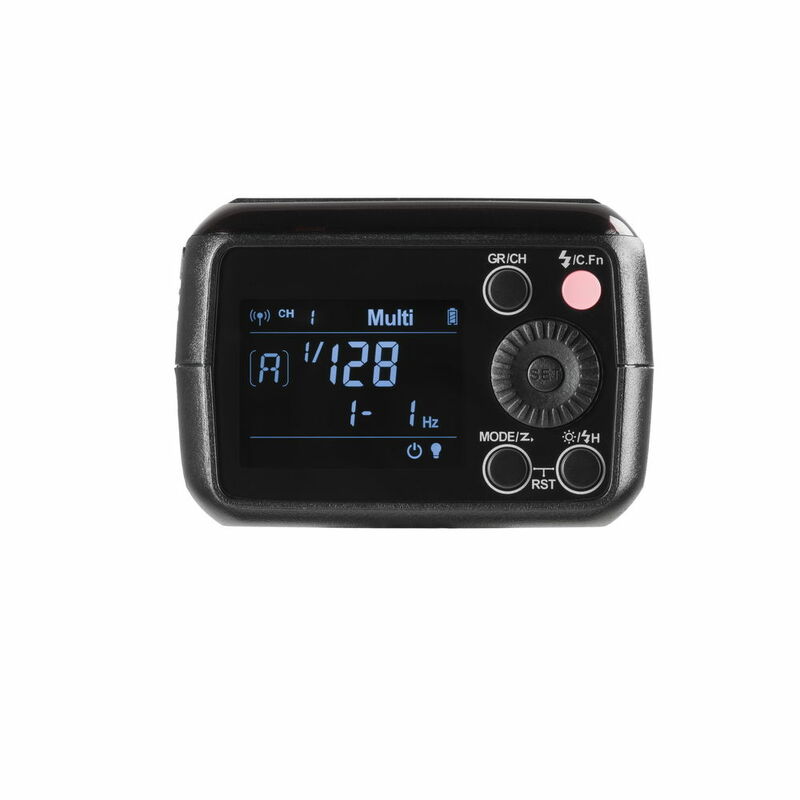 Reporter 200 TTL is compatible with automatic flash light metering system of Canon, Nikon, Sony, Fujifilm and Micro4/3 cameras (use of dedicated Navigator X transmitter is required). Therefore, it can be used in auto mode even in rapidly changing lighting conditions both in studio or on location. 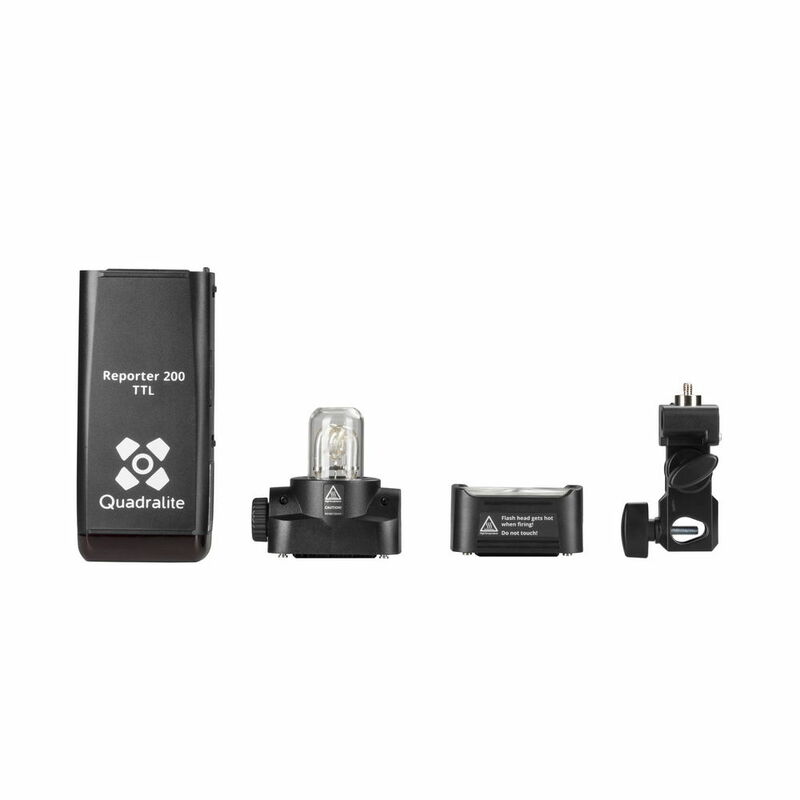 This flash is able to deliver stable output, is easy to handle and extremely comfortable to use regardless the environment. High Speed Sync up to 1/8000s function is also available in TTL and manual mode., which is very useful especially when you want to shoot in bright ambient light using fast lenses for shallow depth of field. Built-in Navigator X receiver delivers wireless control over the power output and other major flash functions including TTL and HSS. Reporter 200 TTL is not only compact and reliable but allows choosing between two types of flash heads: bare-bulb or speedlite alike (both are supplied in the kit). The first one is equipped with light modifiers bayonet and is designed to deliver studio light quality and can be easily replace when needed. Second head is smaller, lighter and has xenon flashtube with Fresnel lens on the front thus it cannot be fitted with Reporter light modifiers just like the first flash head. 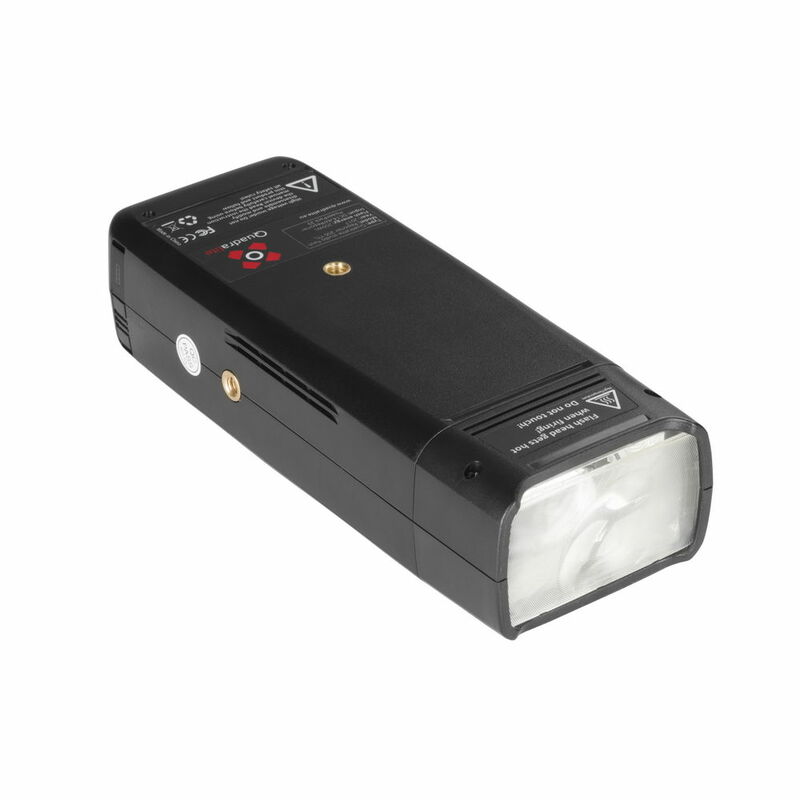 When 200Ws of flash power is not enough there is an option to connect two Reporter 200 TTL to one Twin Head S-holder (sold separately) and use them as one 400Ws flash. Reporter 200 TTL is powered by replaceable 2900mAh lithium battery module and is able to deliver approx 400 full power flashes when fully charged. * For full compatibility with specific camera model dedicated Quadralite Navigator X radio trigger must be used. Manual. FEB: ±3 f-stop in 1/3 stop increments. 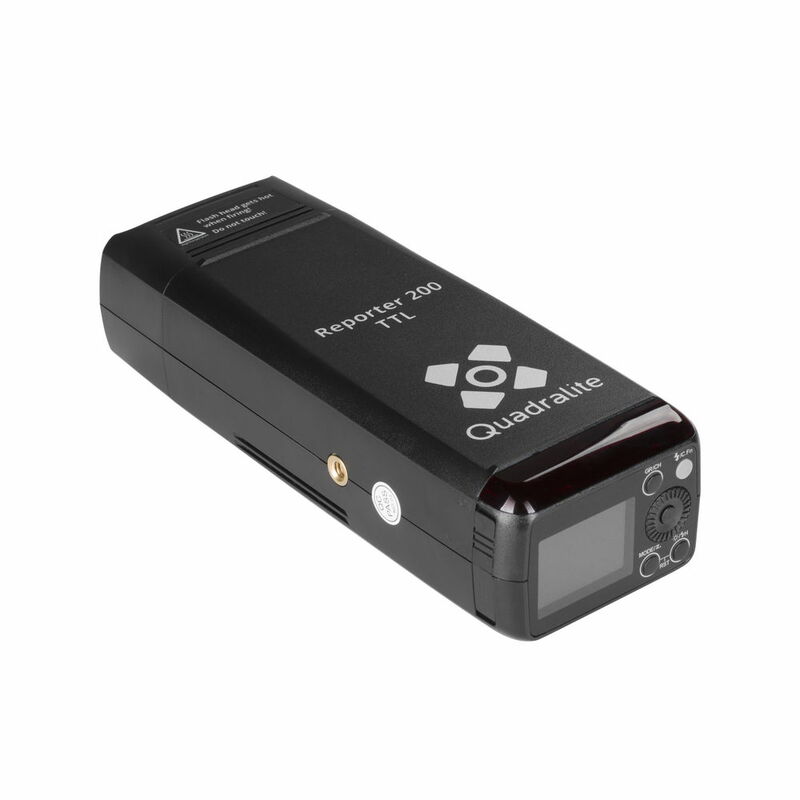 * For full compatibility with specific camera model dedicated Quadralite Navigator X radio trigger must be used. Detailed information is provide in the flash manual. ** Navigator X S is compatible with Sony cameras equipped with Multi-Interface hot shoe only.